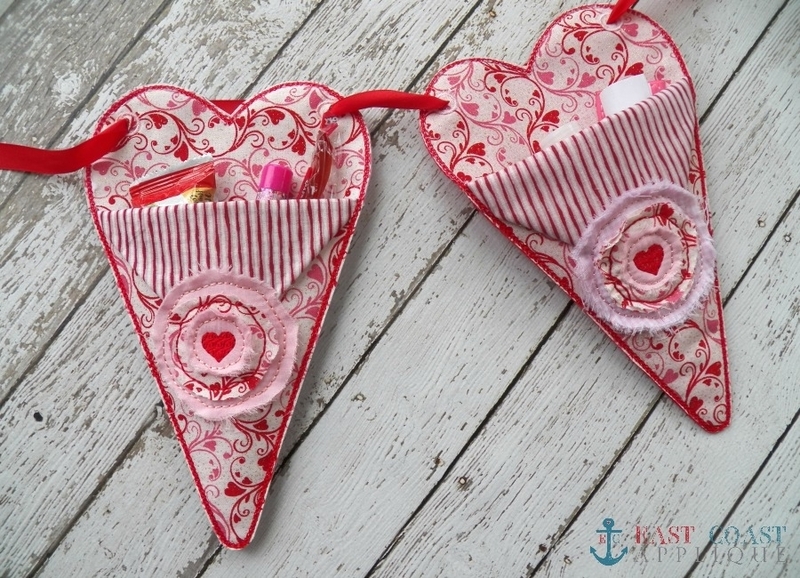 Valentine Posy Pocket - 2 Sizes! 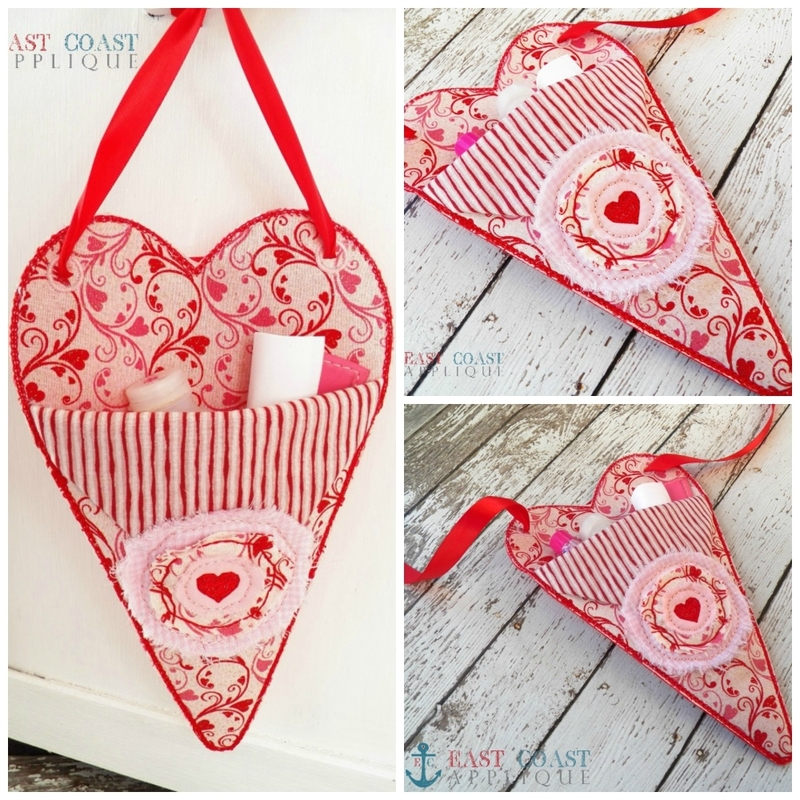 The perfect treat bag to celebrate your love on Valentine's Day! This in the hoop item can be trimmed out with the shabby flower or omit it to add a button afterwards. Just fill with treats and hang on a doorknob, a chair or string them together to make a banner. What a nice surprise for the little ones! Includes 5x7 and 6x10 sizes. Features an unfinished edge. Heart Banner - 2 Sizes! Finish Size 4.88" x 6.99"
Finish Size 6.08" x 9.71"